The multi-purpose U-router is among others a cellular M2M gateway, Service Assurance Manager and Ethernet to 3G router. All combined in one unit that can be customized to optimally suit customer requirements to provide a reliable competitive solution for wireless M2M projects. The U-router is a programmable universal GSM, GPRS, EDGE, UMTS, HSDPA, HSUPA (W)CDMA and EVDO data router, and can be used in combination with the smart P-Controller (Remote Access Device Controller). 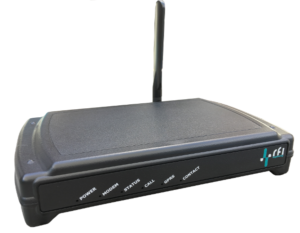 The U-router comes with all software and hardware components needed to transfer data encrypted over cellular networks. The U-router has a serial port for direct connection to the management (console) ports of remote devices. It also has a clean relay contact for rebooting the remote device. When a U-router unit is installed at a remote site, administrators can simply log in to the unit via secondary network or dial-up modem and immediately gain access to console port command functions on remote devices.